This Sick Automation sensor monitors conveyor belt operation without making belt contact and provides prompt warning of any belt slippage. An integrated bulk materials centre-of-gravity calculator detects uneven loading, preventing excessive belt wear, and an integrated heater ensures safe operation at low ambient temperatures. 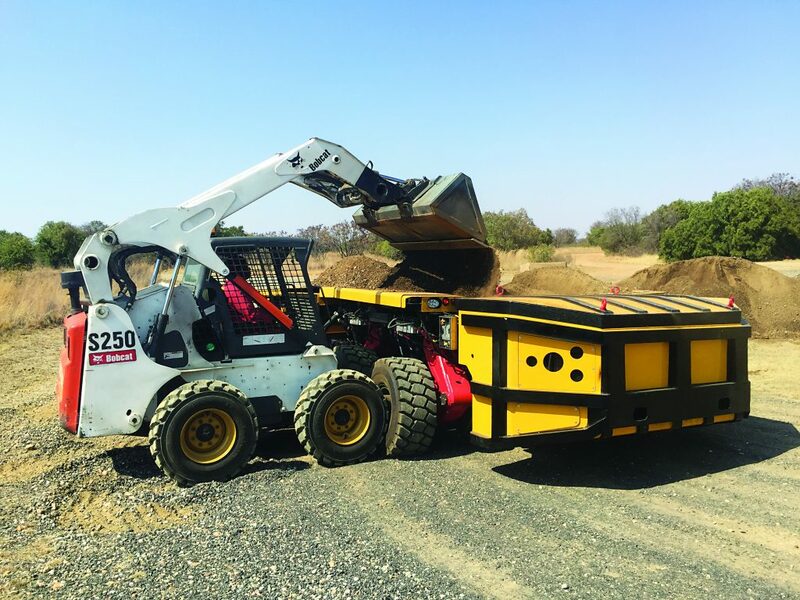 These, and other benefits, make this scanner ideal for most bulk material types, including uncommon types as is demonstrated in the following case study. The Inorganic Pigments Business Unit at Lanxess manufacturers over 100 colour shades to dye concrete materials. Concrete is dyed with synthetic iron oxide and chromium oxide pigments which allows for colour in projects like hotel facades or waterside paving stones, for example. At its production site in Krefeld-Uerdingen, Germany, Lanxess uses five Sick Bulkscan LMS511 laser volume flowmeters to optimise the processes used for transporting high-quality iron chips. Using an oxidation and chemical precipitation process, colour pigments are obtained from the chips over a period, which are transported to the individual processing stations on conveyor belts while the transformation process occurs. A solution to guarantee the quantity and volume of material transported, as well as provide sensible control of the metering flow over a work day, was needed. These requirements amounted to a non-contact measuring principle, traditionally a challenge for optical devices in the environments in which Lanxess operates. Detecting dark iron chip masses on dark conveyor belts under difficult lighting conditions is one of them. Sick proposed the Bulkscan LMS511 with ultra-fast sampling technology which enables high precision laser measurement in virtually all weather and ambient conditions. Called 5-echo technology, it is suitable for applications needing reliable detection of dynamic objects in changing or unfavourable conditions. This includes applications with poor visibility such as in tunnels or in mines. In addition to maintaining excellent visibility in unfavourable conditions, 5-echo technology ensures maximum accuracy. Fast scanning frequencies, up to 75 Hz, and fast response times are used to achieve maximum resolution for the height profile (and thus high measurement accuracy). They also enable the measurement of conveyor belts at speeds of up to 30 metres per second. The Bulkscan system offers six individually assignable switching outputs for additional signal processing, such as a warning or impulse output or as continuous outputs for measured value transmission over TCP/IP (Ethernet). Processing and measured value preparation take place directly in the sensor, which also has two inputs. No additional data acquisition system is required.